Alpine Rail Optimisation is where heavy rail meets the future. Taking place 8th November 2018 in Vienna, the conference will bring together the Railway Infrastructure Managers and Train Operating Companies of Austria, Switzerland, Germany, Italy and France to present their forthcoming investment plans and source best-in-class solutions to deliver on them. From developing and upgrading existing infrastructure, helping to advance customer experience, improving maintenance through effective use of IoT and Big Data capture, investing in state-of-the-art rolling stock and capatilising on the latest technologies to make Rail the first choice mode of transport, this unique conference will highlight how digitalisation will be the enabler of such massive improvements for the region to increase efficiency and reliability whilst helping to reduce costs. 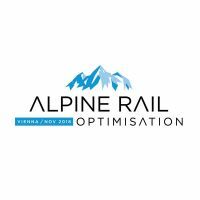 With this is mind, Alpine Rail Optimisation will be the catalyst to facilitate critical dialogue between the region’s infrastructure heads, rail operators and global providers of cutting-edge technology with the solutions to modernise the region's railways.